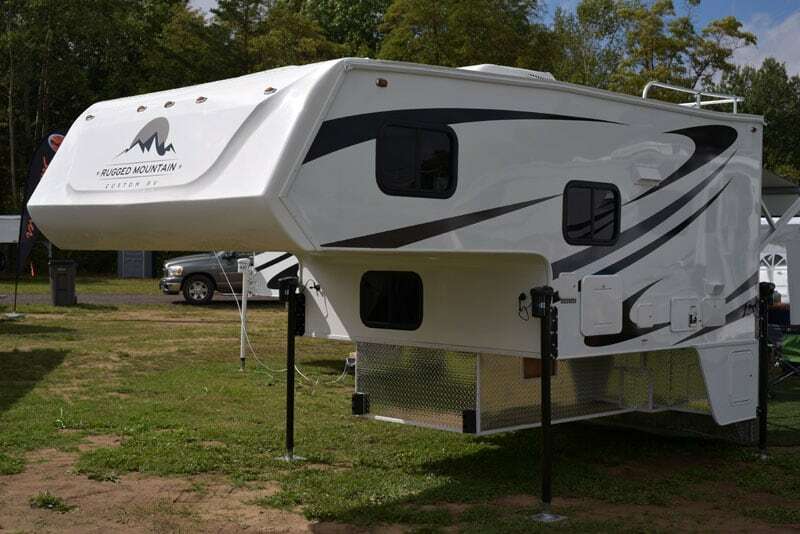 For 2019, Rugged Mountain RV has completely redesigned the Polar 990 and Polar 860 interiors, significantly increased fresh tanks, and made other important model year improvements. Just a few feet away was a 2019 Polar 860, a more affordable model with a new trick up its sleeve. The dark cabinetry, dated fabrics, and other long in the tooth materials of the Polar’s past was nowhere to be found. In their place was a lighter, brighter, and much more contemporary interior. The layouts of the Polar 990 and 860 are nearly identical to truck campers produced by at least three other truck camper manufacturers. What has always distinguished the Polar line from the competition is their build, price, and weight. In a nutshell, the Polars are wood frame, hung wall, value priced, and – relative to competing models – lightweight. Now add an interior that won’t be mistaken for any other brand. 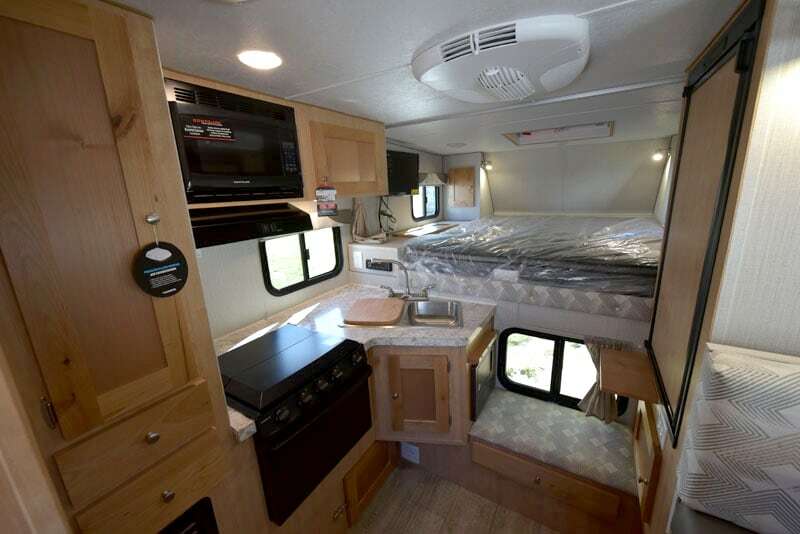 Rugged Mountain RV has refreshed nearly every material inside the unit making a camper that already looked sharp on the outside, even more so on the inside. This update was long overdue, and makes a big difference. To get the back story on all of the 2019 Rugged Mountain updates, we talked to Jesse Collinsworth, President of Tiny Idahomes and Rugged Mountain RV. Have any models been discontinued for 2019? No. We are continuing with the Rugged Mountain Polar 860, Polar 990, and Granite 11RL. A short bed version of the 11RL will be debuted in early 2019. 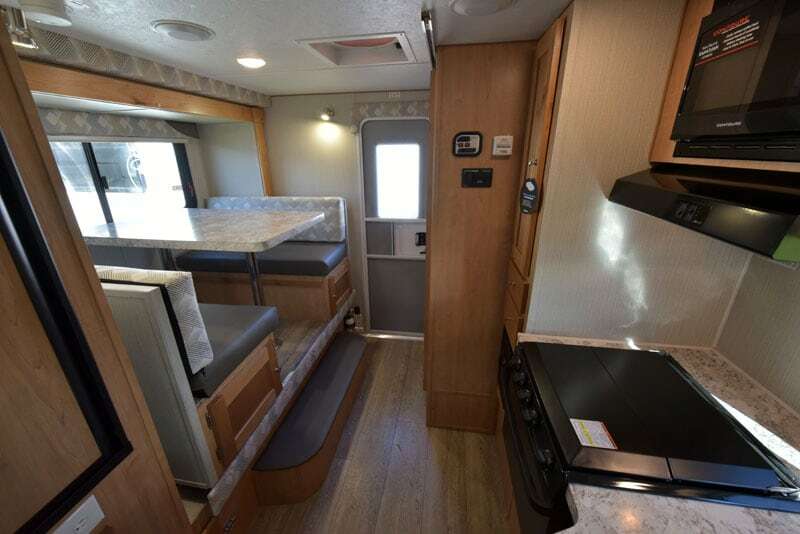 The 2019 Rugged Mountain Polar camper interiors are quite different than their predecessors. What’s the story behind the change? There are two main reasons for the new Polar interiors. First, I want to give our customers what they want. For the Polars, we were asked again and again for updated and lighter interiors. Second, we were informed that the darker paneling in the Polars was being discontinued. If we had to change the panel color, I wanted to change the entire interior. We have new wall panel, ceiling, and cabinet colors. The wall panel is called Valencia Silk Pearl, which gives the Polar a lighter and more modern look. The wood panel is Melrose Maple. The ceiling panels have a bit more texture, further adding to the new look. We also switched the floor from a marble-look to a darker wood-look. With the lighter wall paneling and cabinetry, the darker wood flooring looks fantastic. The floor material is a high-end linoleum call Congoleum. It looks like wood, but it wears like a high-end linoleum. The new counter tops and table are a Wilsonart brand Spring Carnival laminate. Again, the Wilsonart laminates are a high-end and extremely durable material. The interior dinette and fabric colors are available in two colors and patterns.